Water for Riley is very proud to have letters of support from all three levels of government, municipal and provincial, and now federal. 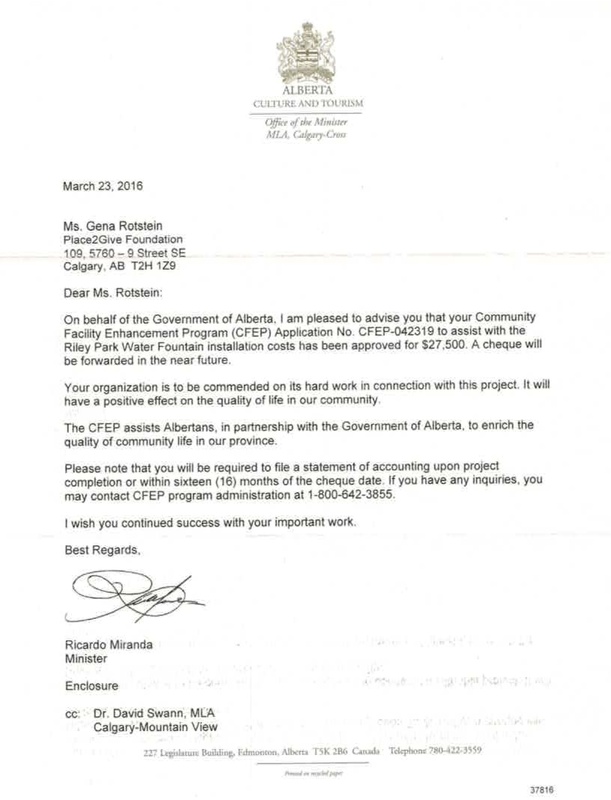 Our thanks to Len Webber, Member of Parliament for Calgary Confederation, where Riley Park is located. Mr. Webber’s office is just blocks north of Riley Park. You can be involved with the drinking fountain for Riley Park. Call 403 862 1923 or email with questions and to volunteer. All donations of $10.00 and greater get tax receipts from Parks Foundation. Click here to donate through the Parks Foundation and specify your support is for the Water for Riley project.